These slotted 1/4'' drive insert bits from Apex Tools feature reduced tips for work environments with limited clearance. 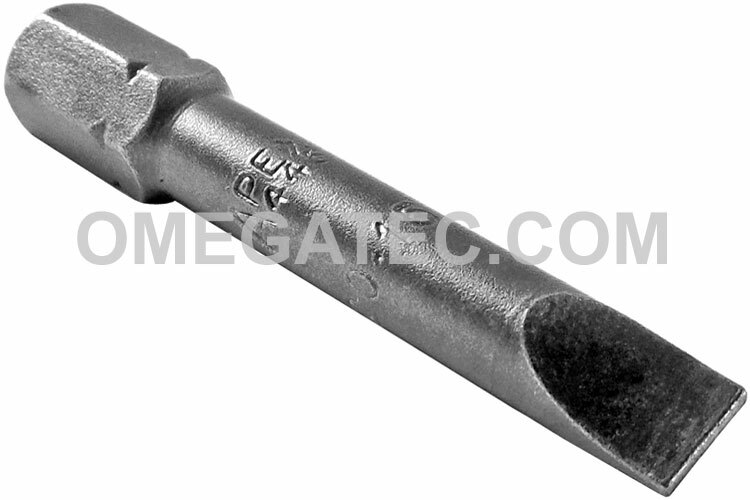 Apex Fastener Tools slotted bits are considered among the highest quality in professional tooling. Apex slotted insert bits can be used by a variety of tools, including power tools, hand tools and pneumatic tools. Apex slotted insert bits have used for decades throughout the aerospace , automotive and assembly industries. Every Apex slotted bit is designed and manufactured to the highest quality standards ensuring its' durability in demanding work conditions.